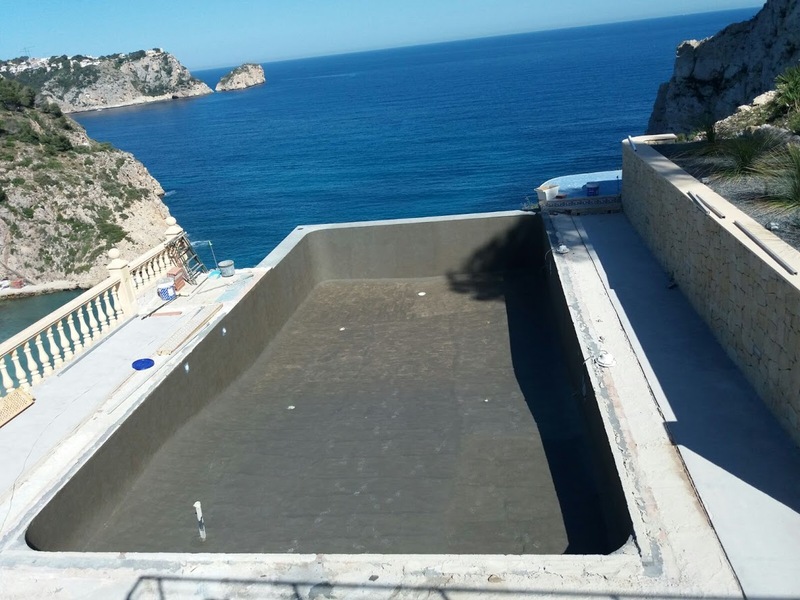 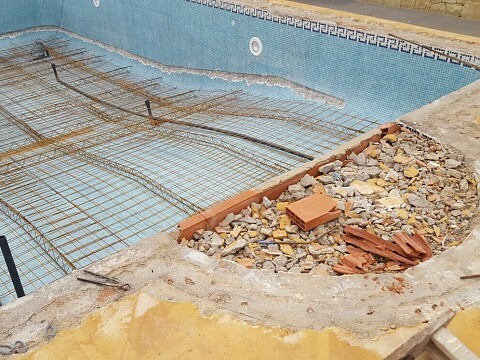 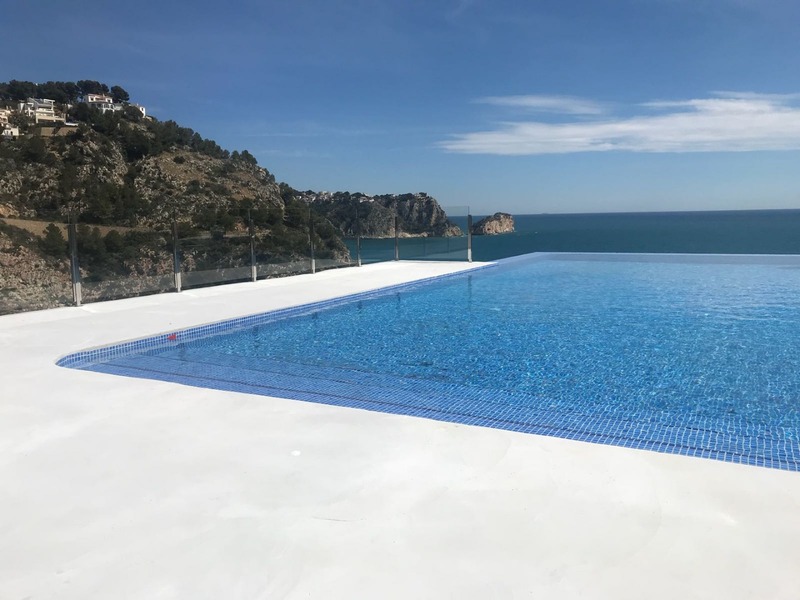 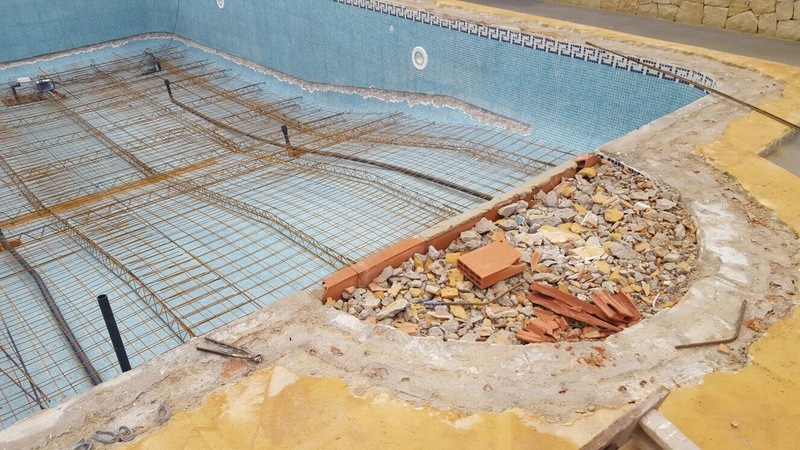 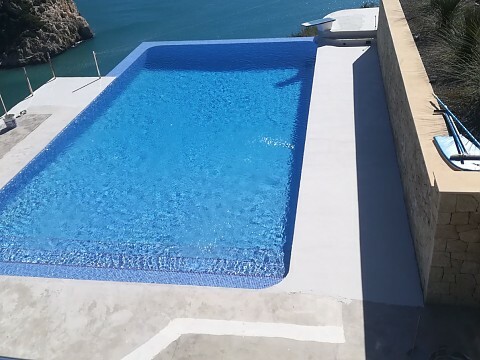 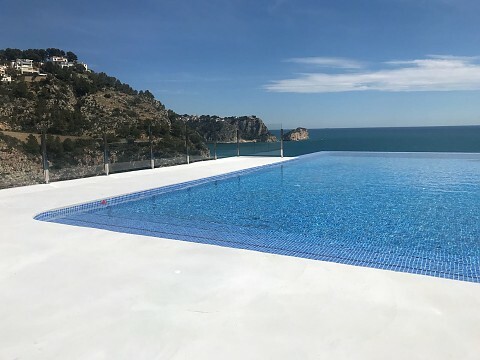 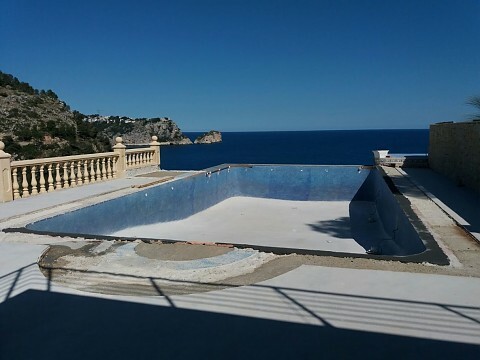 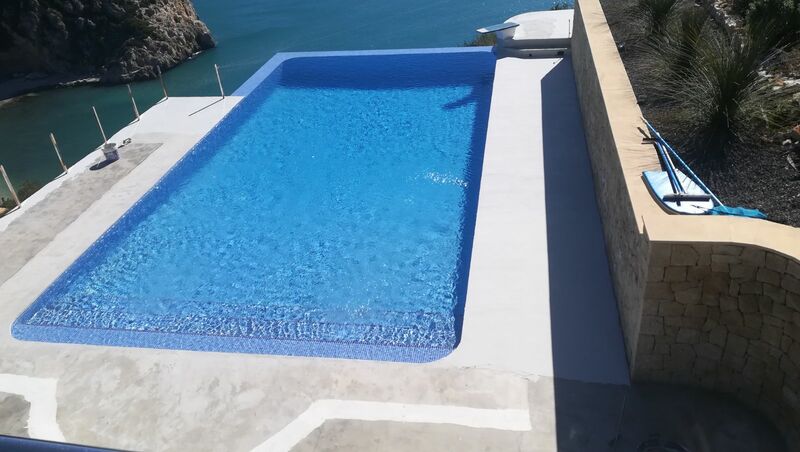 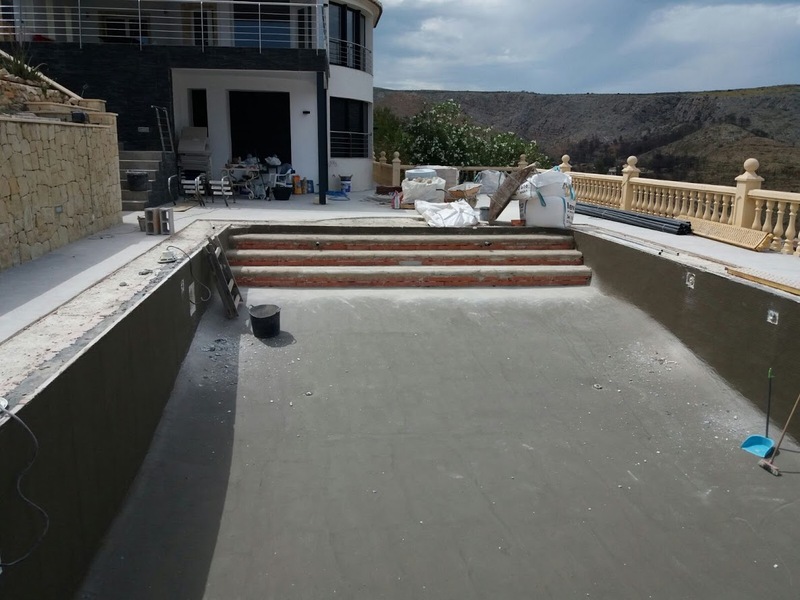 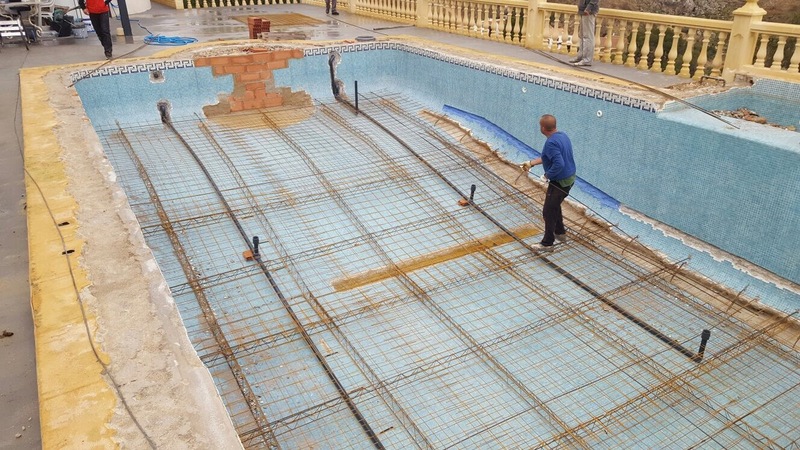 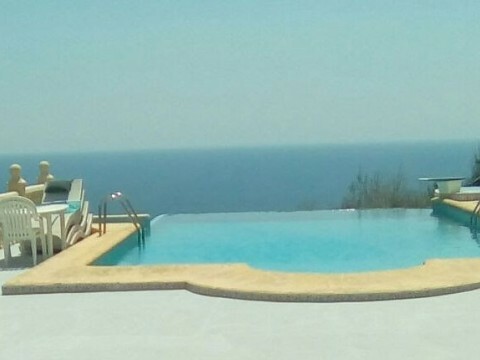 The pool had some cracks, it was reinforced internally with a new projected reinforced concrete, it was waterproofed and made with blue tile. At the same time the coronation was eliminated, leaving it at the same level as the terrace. 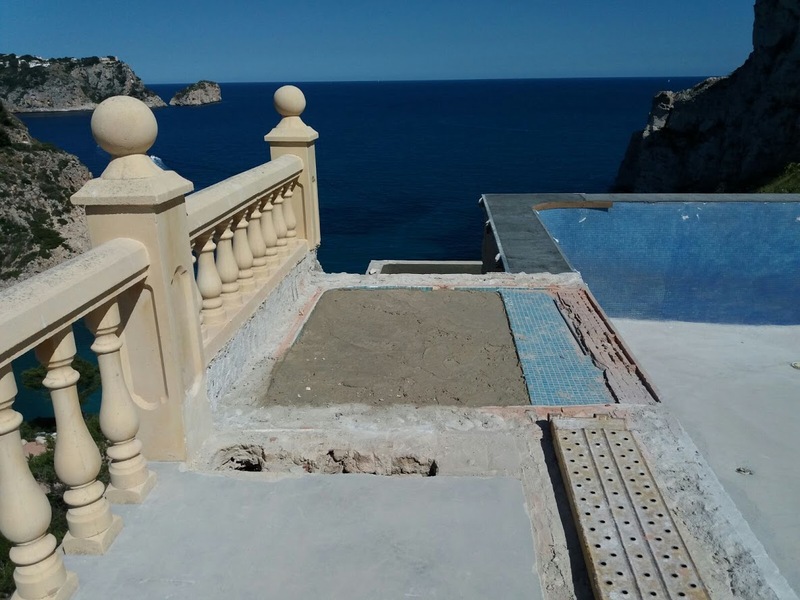 In addition, the Roman staircase was replaced by an internal staircase. 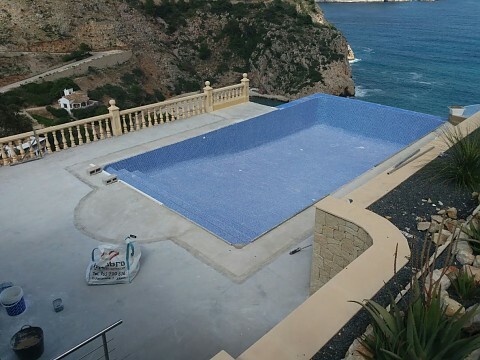 The existing baluster was replaced by a glass railing with supports in AISI 316 stainless steel. 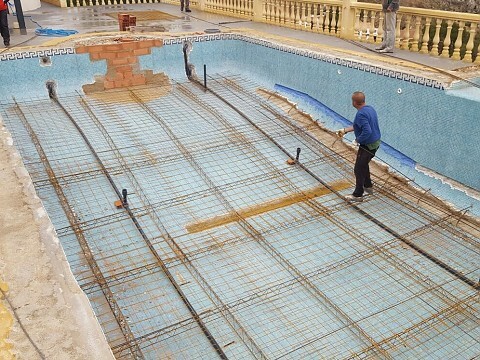 In these images we can contemplate the process and final result.